Fresh, small batch skincare is our thing. Every day, we carefully craft powerful, luxury artisan skincare to work in harmony with your skin’s natural rhythms. 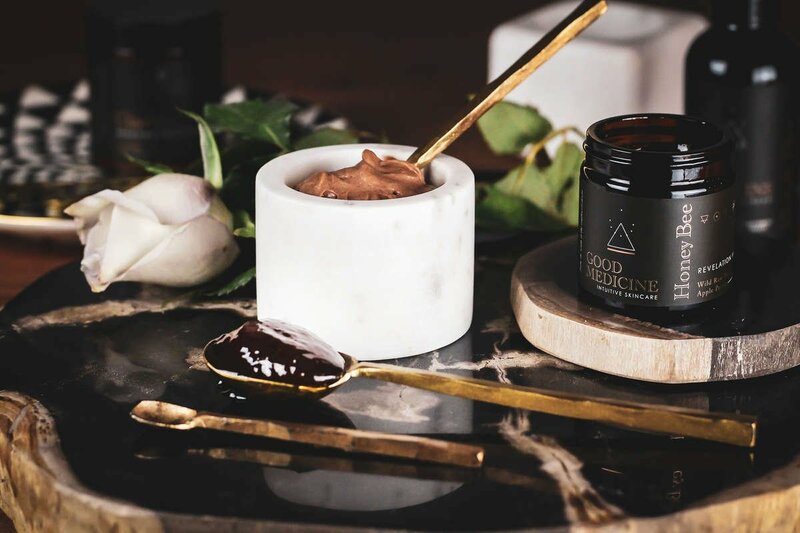 Each enlivened formula draws upon centuries of herbal wisdom, combining traditional and modern science, to work with the skin holistically and help it achieve a natural, self-sufficient state. Bright, clear skin is your thing. 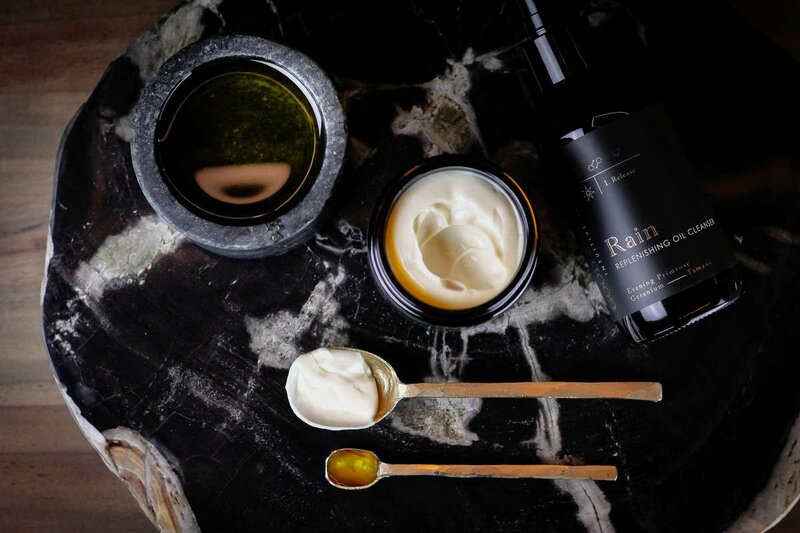 We believe that artisan skincare truly is an art form that creates a special synergy between formulas and the skin. The right ingredients used correctly activate and enhance the skin's natural aliveness and bring balance and harmony. The result is bright, radiant skin. Good Medicine works on many different levels to connect you with all the beautiful parts of yourself. 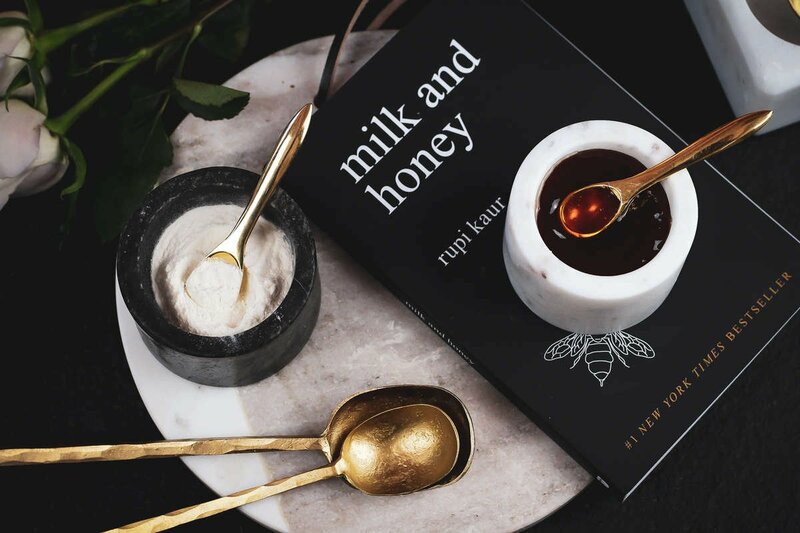 Intentional textures, sensual aromas and high-vibration plant life work together to shift your mental scenery, inspire new thoughts and actions and indulge your senses. Each Good Medicine product is formulated to be seamlessly fused with another. Your intuition is what makes Good Medicine truly unique. We understand every woman has different needs. Combine our formulas to create entirely new products that serve entirely new purposes. At Good Medicine Beauty Lab we ascribe to the idea of slow beauty. It's a movement. It's a way of life. It's about connecting with yourself. Honoring your body. Discovering yourself on a deeper level. It's about beauty from the inside out, and from the outside in as well. The truth is, who you are affects your beauty. And what you choose to put on your skin affects you internally. Activated oxygen (ozone) meets skincare. Our new Electric Sky Unversal Elixir uses the power of ozone to increases cellular function and micro-circulation giving you the most radiant skin ever! Our line of artisanal beauty formulas is based on a powerful infusion of wild desert plants, untouched by chemical fertilizers, uncultivated or cross-bred, nourished by rain and brilliant sunshine. They are gathered by hand, formulated with an exacting process, and bottled in glass with loving care. For the inherent qualities they convey, we call them Good Medicine. 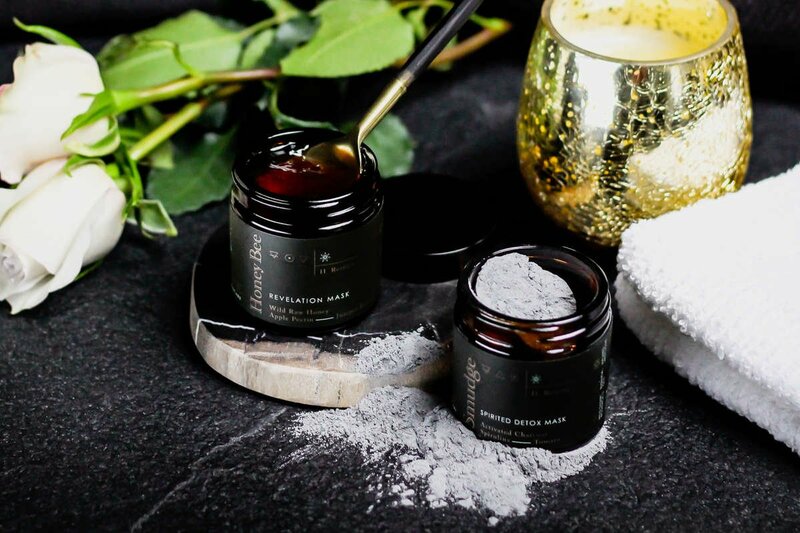 Our gorgeous cleansers & plant-based exfoliators effortlessly melt away environmental pollutants, dead skin build up and bacteria while calming, clearing and brightening the skin. Relish in the act of cleansing your skin with sensual aromas, powerful antioxidants and fresh nourishing ingredients. Our restoration formulas amplify the effectiveness of your skincare ritual. Each is designed to quickly eliminate dullness and dehydrated skin. These magical formulas draw upon the skin’s own moisturizing fluids and natural nutrients outward to replenish the surface, dramatically increasing its moisture barrier, leaving the skin absorbent and ready to receive the healing nutrients of your moisturizers and serums. Our moisturizers and serums are super concentrates, providing glowing hydration, potent vitamins, and pure plant and botanical oils. They are made to repair, lubricate and protect the skin’s surface with light, porous, regenerating moisture. Each is expertly crafted to activate the skin’s natural resources to work more efficiently and proactively – leaving the skin luminous, strong, clear and firm. I have incredibly fussy skin, after years of chronic health issues. Even when I'm having a rough day, Clarity helps my skin look healthy and refreshed. It has a matte enough finish to wear easily under foundation, but brings out your skins natural radiance and vitality. I'll never use another moisturizer. This is hands down my favorite body oil [Lomi Lomi] I have ever used! It gives your skin the perfect amount of moisture without being too oily. It’s amazing at preventing razor burn when used after shaving your legs, and leaves your skin so soft and smooth. The smell is so incredibly beautiful, like a tropical dream! I have repurchased this many times, and will always have a backup on hand so I never run out! Purity has been the workhorse in my skincare routine for a little over a year now. I absolutely love it! My skin is noticeably clearer than before I started using it... I'm very picky with my skin care products, but everything from GMBL is excellent quality, affordable and clean! I would highly recommend this product for anyone experiencing troublesome breakouts. Create intuitive blends for your skin. Our beautiful Starter Sets & Deluxe Minis are a beautiful way to start a new self-love ritual or simply take your favorites with you on your travels. We would love the opportunity to connect with you on a deeper level. Our newsletters will sprinkle (not fill) your inbox. Your skin loves wild desert botanicals.